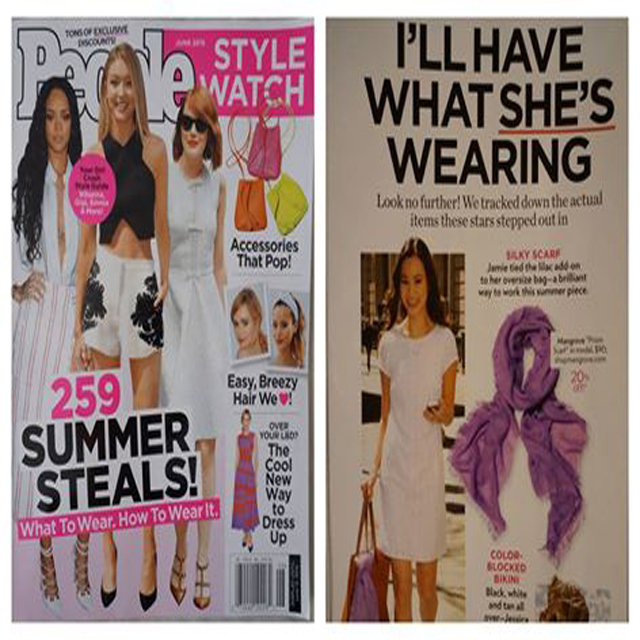 Check out our mention in the June issue of People StyleWatch! to bring out our lovely lightweight scarves to top off any ensemble. Also there’s a code to get 20% off! so stylish & festival ready! at Coachella this year. We adore her creative styling! Chloe! Chriselle – that color is gorgeous on you! “The Blond Salad”, at the Moschino dinner during Milan Fashion Week. 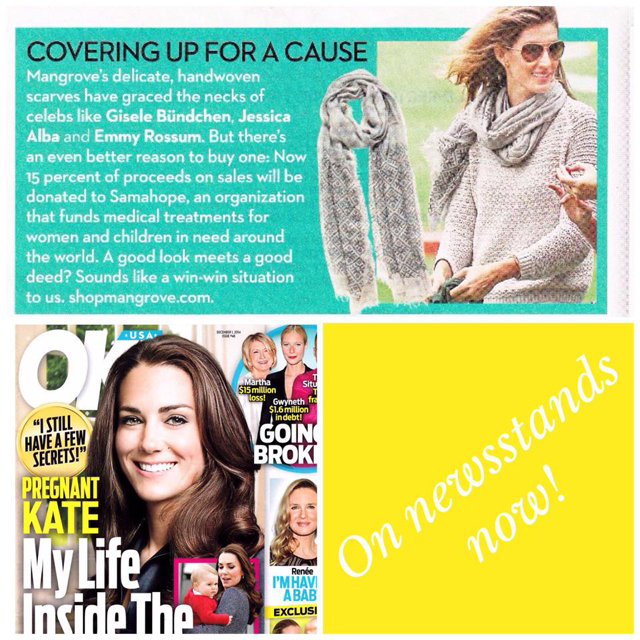 Gorgeous Cindy Crawford in our popular Elba Scarf! 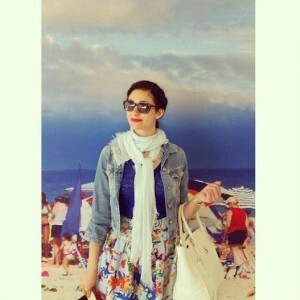 Emmy Rossum stepped out wearing the Monaco Blue Prism scarf. to accent her casual ensemble for an effortlessly polished look. your neutral ensemble with this pop of color! Naomi Watts wearing our popular Turin scarf while hanging out in Los Angeles. 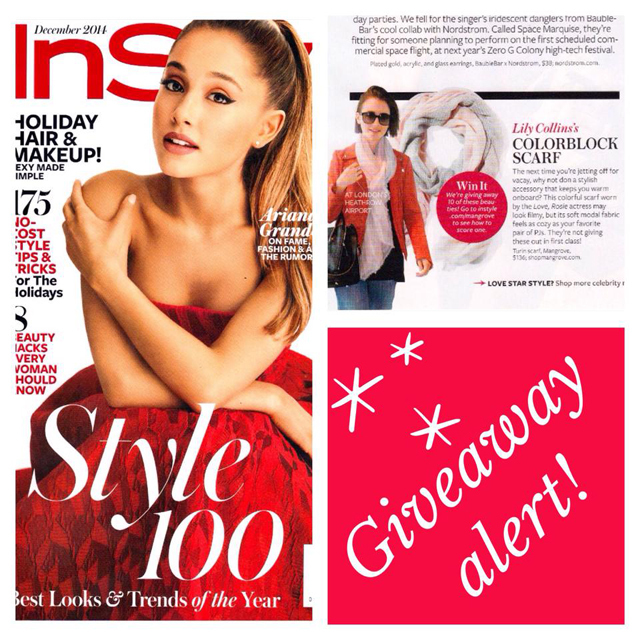 newsstands now or you can check it out online at instyle.com. helping others at the same time?! 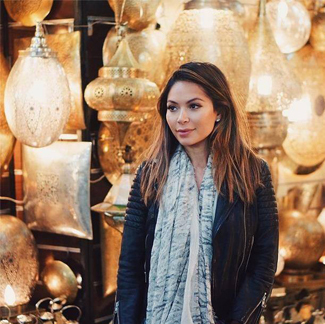 Marianna Hewitt epitomizes a cool, weekend vibe while in Marrakech. We think our Sky Lanterns Scarf in Desert Rose, beautifully completes her ensemble. Loving @Marianna Hewitt, of La La Mer, in our popular Graphite scarf! We’re so happy you’re making our scarves your “go to” travel accessory! 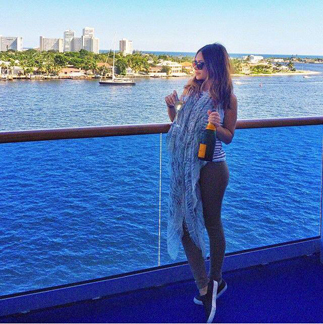 Marianna Hewitt enjoying a bottle of champagne while on her Caribbean cruise while wrapped in a Mangrove scarf. Channel your inner fashionista, buy this scarf on our E boutique. The stunning Gisele Bundchen spotted in our Batikk scarf this past weekend in NYC! We think our Batikk scarf adds just the perfect pop of print to this iconic model’s ensemble. Leave it to NY fashion blogger, Arielle Nachmani (@somethingnavy) to show us just one of the many creative ways to wear our scarves! We think you look amazing with our Cameo scarf worn as a headwrap! We think actress Lily Collins, @lilyjcollins, looks picture perfect in our popular Turin scarf! 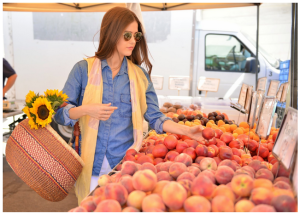 We’re beyond thrilled to be @blank_itinerary’s “go-to” scarf choice. We adore how our Turin scarf looks with her city chic look! 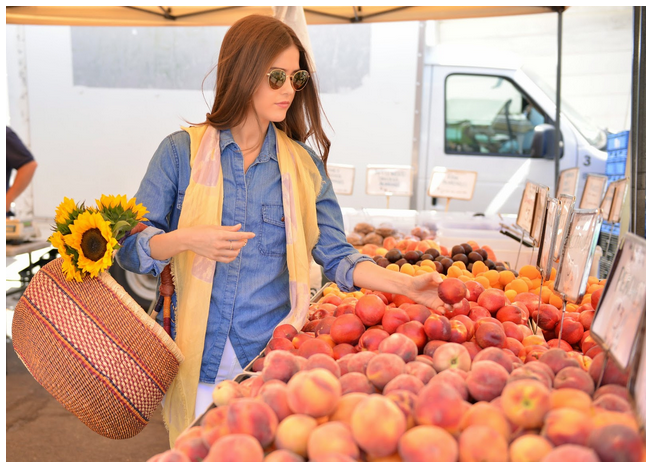 We love the casual ease our Colorbloc scarf adds to Paola Alberdi’s (@blank_itinerary) ensemble that she wore to the farmers market. Our delicate scarves can compliment any outfit! Seeing stars ! Check out the gorgeous style icon, Jessica Alba wearing our delicate & feminine Turin scarf while shopping in exotic Turkey. Spotted – the beautiful Emmy Rossum wearing our feminine & classic LaFlora scarf in pink while traveling; proving that a scarf is the perfect travel accessory! Loving how West Coast style blogger, Helen Owen, brought our Pompeii scarf to the beach. We couldn’t agree more that it’s a must have beach accessory! Loving how SoCal fashion & travel blogger, Rocky Barnes, from www.rockybarnesblog.com completed her gorgeous look in Mangrove’s most popular style “Between the Lines” in Blue. 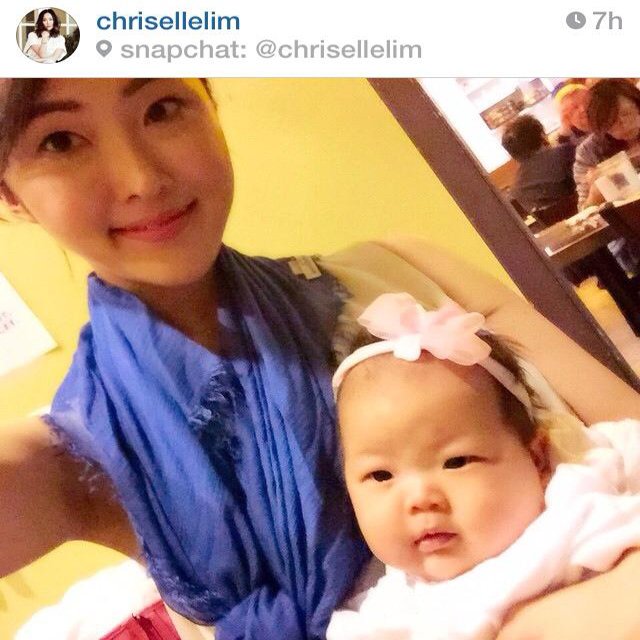 It’s the perfect scarf to complete her ensemble! 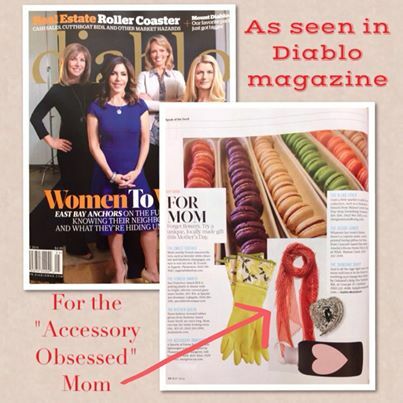 Our popular “Between the Lines” scarf made the Bay Area’s ‘Diablo’ magazine’s short list of stand out Mother’s Day gifts! Seeing stars! 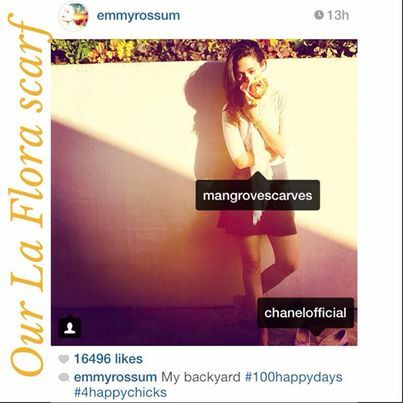 We are thrilled our elegant La Flora scarf made Emmy Rossum’s #100happydays Instagram post. . Delighted to see she paired us with Chanel too! 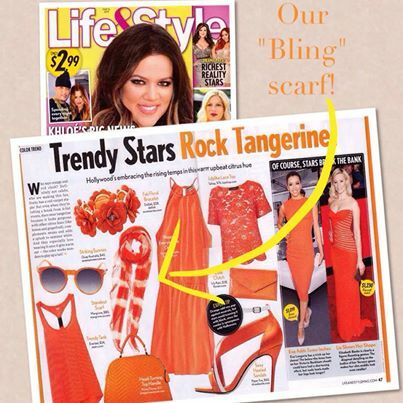 Catch our Bling scarf, one of our favorites for Spring/Summer, in this week’s issue of Life&Style Weekly magazine. They call it a “Standout Scarf”!!! Beyond thrilled that Jamie Chung used our sumptuously soft, Prism scarf to add that “pop of color” to her Spring outfit. Love the pop of color on Jamie Chung with Mangrove Scarves’s PRISM scarf in African Orchid! 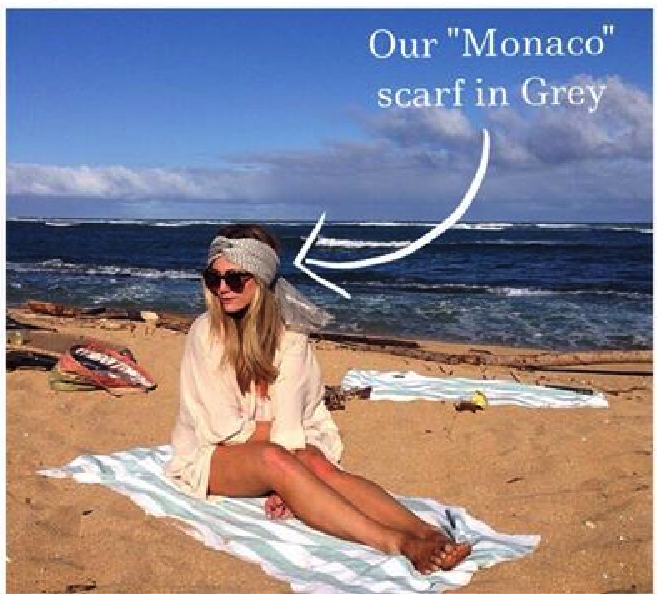 Check out LA fashion blogger Devon Rachel sunning in Hawaii with our Monaco scarf in Grey . A scarf is not just a scarf anymore – we LOVE this look! Emma Roberts was seen in Mangrove’s Modern Paisley Scarf.